When the last major uprising in Tibet occurred in the spring of 2008, viewers of China Central Television were treated to repeat screenings of the “smashing, beating, looting, and burning (da za qiang shao)” in Lhasa. 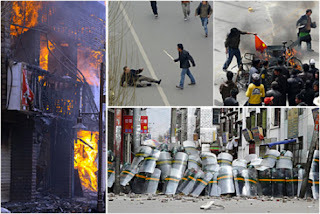 Images showed Tibetan rioters overturning police cars, throwing rocks, beating passersby, and burning PRC flags alongside carefully edited images of military police reliably injured or hiding behind riot shields. I watched while these images were not only broadcast as news soon after they occurred, but were then gratuitously rebroadcast over the months that followed and even sold en masse in DVD format on the streets. And during fieldwork on ethnic relations in urban China three years later, I found that this imagery remained engraved in the collective conscious. 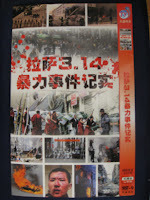 This onslaught of images constituted an arguably unprecedented media campaign to consolidate the official line on Tibet. 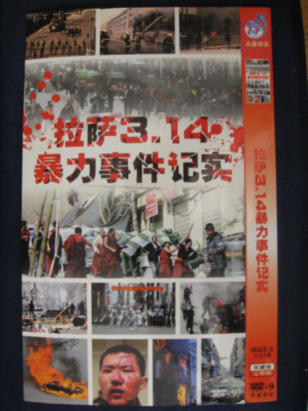 It provided seemingly irrefutable visual proof of a simple narrative imposed upon complex events: irrational, violent, and threatening “Tibetan separatists” suddenly and seemingly out of nowhere unleashed senseless violence against Han residents interested only in “helping Tibet develop.” Within this presentation, the source of protests had to be found either outside of Tibet proper (i.e., “the Dalai clique”) or solely inside the purportedly troubled minds of protestors (i.e., “hooligans”), so as to ensure that they not be found in historical grievances or the current sociopolitical context of occupation. The result was a decontextualized narrative of victimhood and moral victory, located in a historical and political vacuum, which presented “China” as the dual target of an onslaught by “violent separatists” and the “biased” gaze of the Western media. 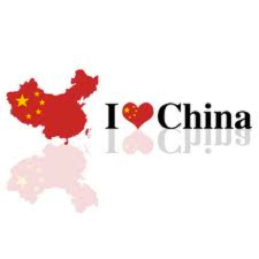 And if the history of humankind has proven anything, it is that simple narratives have appeal: this was proven yet again in 2008 by the rapid spread of the “I ♥ China” meme, which literally blanketed the Internet, public spaces, and even individual bodies as a top-selling t-shirt that spring and summer. In contrast to this frenzied broadcast of images, the most striking characteristic of the state media response to the recent series of self-immolations in Tibetan regions has been its relative silence. Despite the length of these protests and the gravity of the events at hand, reports have been rare, and when they have appeared, they have generally been quite clumsy. 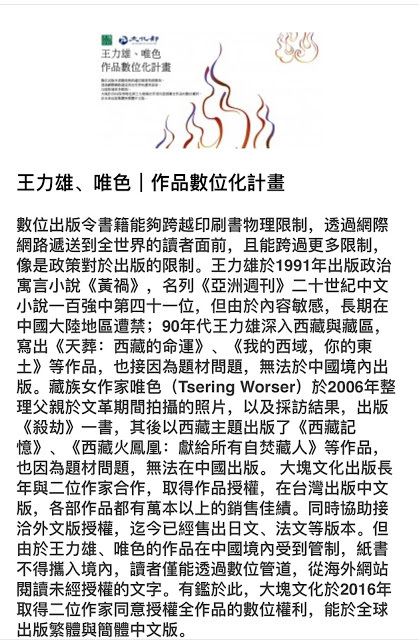 Even the Global Times (Huanqiu shibao), known for its characteristically outspoken state-nationalist viewpoint, seems to have stumbled in search of words to characterize recent events, claiming in an odd editorial that there is “no need to sweat over minor unrest.” The state media, increasingly adept at incorporating all types of events into official discourses, appears to be at a sudden loss for words. 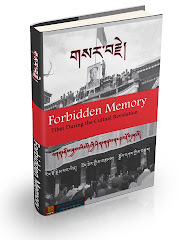 The ability of the events of 2008 to be harnessed to a simplistic state-nationalist discourse of “ungrateful, violent Tibetans” and “silly Westerners” made it an almost obsessive object of discussion that spring and summer. By contrast, the recent series of self-immolations leave everyone, no matter one’s position, at a loss for words. They are immensely public acts of protest that communicate a meaning not at all easy to remold. These acts do not yield to simple narratives but instead compel narratives themselves to yield; they are a suffering that makes counterarguments futile. Attempts to put an anti-CNN-spin on events, such as the recent state-run website Tibet.cn’s decision to cite anonymous “netizens” expressing their hopes that the Dalai Lama might self-immolate, appear immensely petty by comparison. When people are setting themselves on fire, such responses simply fail. A commonly cited reason for the perpetuation of anachronistic political and cultural control in today’s China and Tibet is the purportedly “low cultural level” (wenhua di) of the average citizen. Dialogues on Twitter and elsewhere beyond the control of censors suggest that such claims are predictably nothing but patronizing self-rationalization by the state and its supporters. Yet if we were to take this claim at face value, a question nevertheless remains: could this supposed “low culture” be a product of, rather than a justification for, the continued simplistic narratives that dominate the state media? When state media is comparing the Dalai Lama to Hitler one might ask what, after all, qualifies as “low culture"? This is the fundamental perversion of the Chinese state response to the current situation in Tibet: one can find open wishes to set the Dalai Lama on fire on a state-run website, yet one must scale an unrelenting firewall in order to obtain even the most basic information about recent events in Tibet, and open discussion is either blocked or casually erased. Simplistic state narratives have always been a disservice to the people of China and Tibet, but the scale of tragedy in recent months has laid bare these narratives for what they are: an embarrassment, to a point that even the state and its mouthpieces, stumbling over one rationalization after another, appear to have implicitly acknowledged.